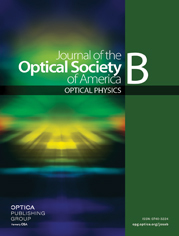 In this paper, we present a brief review of the launch of surface nonlinear optics and nonlinear magneto-optics at Moscow State University in the 1980s and further development of these areas in Russia. The history of these branches of modern nonlinear optics cannot be separated from the history of Russia’s School of Nonlinear Optics founded by Rem V. Khokhlov and his colleagues and partners Sergey A. Akhmanov and David N. Klyshko. After a brief description of the basic contributions of the founding fathers, we present retrospection of surface nonlinear-optical and magneto-optical studies performed at the Physics Department of Moscow State University. In the last section, we present results of our recent studies of the relation between surface plasmons and magnetization-induced second-harmonic generation in magnetic nanoparticles. Elements of nonmagnetic (crystallographic), χijk(2)even, and magnetic, χijk(2)odd(M‖Y), susceptibility tensors and pseudotensors; the latter are selected for transversal configuration of the NOMOKE, i.e., M‖Y (see the top inset of Fig. 1(a)). The first subscripts associated with the nonlinear polarization at 2ω are denoted as ‖ and ⊥ to be attributed to corresponding components of the anisotropic LF factor.